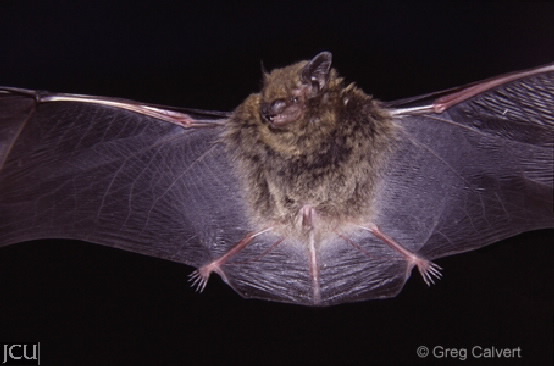 These bats are often found in mangroves and open forest, may also be found in buildings; chiefly insect eating. The colour of the body is chestnut-brown to grey-brown on the back, belly is lighter. The membrane on the forearm extends almost to the last tail joint.